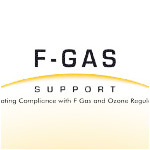 What is the European Union's F-gas Regulation?The legislation applies to all static refrigeration and air conditioning equipment and imposes legal obligations on 'operators' of this equipment, with 'operators' defined as the people or organisations that have actual power over the technical functioning of the equipment. The F-gas legislation was brought in to help meet the EU's Kyoto Protocol obligations by working to minimise the emissions of fluorinated gases and so reduce their environmental impact. In accordance with this we test and repair such leaks as-well-as identify potential problems in the future.